Have you started adding hashtags to your LinkedIn posts? Not yet and so, you are looking for tips to use hashtags effectively in your LinkedIn marketing strategy. Here are the 3 steps to tell you how to use LinkedIn Hashtags. Bring these hacks into practice, to achieve success on this platform. Hashtags have been one of the prominent features of social media. Now LinkedIn is letting its users find and post their hashtags using the “Your Communities” section present on the left side of the LinkedIn feed. Click on the pencil icon in the Your Communities box and start adding hashtags to LinkedIn posts. Then, click any hashtag you’re following and join the conversations. Now, click on Show More to view the complete LinkedIn hashtag list you’re following. If you want to customize it to filter the top three hashtags, click on the “Pin” appearing next to the hashtags you want to show. Pinning the most relevant hashtags saves extra step of clicking on Show More. To get more new hashtag suggestions, click on Discover More. This option also helps you the number of followers for particular hashtags and thus you can decide to go for the hashtag or not. It is necessary to know which hashtag is going to work for your LinkedIn marketing and the interests of your target audiences before adding to LinkedIn posts. You can start with the hashtags influencers using in your LinkedIn niche and other social platforms like Instagram and Twitter. Notice the user and the way hashtags are being used with the content. Before you add the hashtag to your post, verify the popularity and relevancy of the hashtag. Go to the search bar, search for that hashtag and filter your search as per your audience. 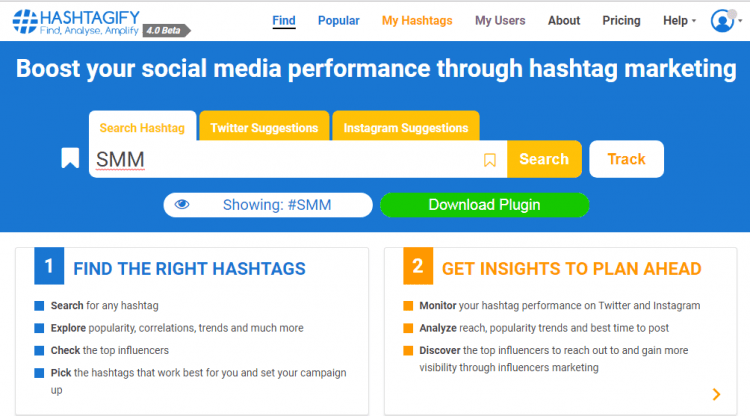 Hashtagify is a tool that will help you assess the popularity of the hashtags. The tool is paid and free, both. Paid one starts at $29 per month. You can choose a 7-day free trial as well. Tagdef helps you analyze “what specific hashtags mean to an audience”. This tool easily searches for hashtags to find their popularity and definition. A quick search will take you to “if your hashtag has a hidden message or not”. Search for Hashtags to Reveal Conversations You Can Engage With. Once you got desired conversion with a hashtag search and now start commenting and liking other posts and articles so that you can grow your network as well. Add LinkedIn hashtags in your comments also so that you would appear in that hashtag feed as well. Doing this will associate you with that particular hashtags. Is there any mutual connection between you? Does the user actively post articles on the platform? Follow and connect with such users. The use of hashtags in your articles will ensure that your content can be found organically and by users who’re following and looking for the hashtags, you’re using. LinkedIn recommendations encourage such activities. You can pick those recommendations as per your requirements. This trick helps you come with topical news and posts related to particular segments in your audience base. It is recommended to become an active member of different LinkedIn groups showing interest in your hashtag. What to do after joining the LinkedIn groups? When you have joined the groups, keep asking questions and also share original and interesting articles and videos. Also, make comments on other posts and do put your views and share your experiences. LinkedIn is one of the active social platforms where you can grow your professional network in no time. But to achieve this, you should know the hacks.